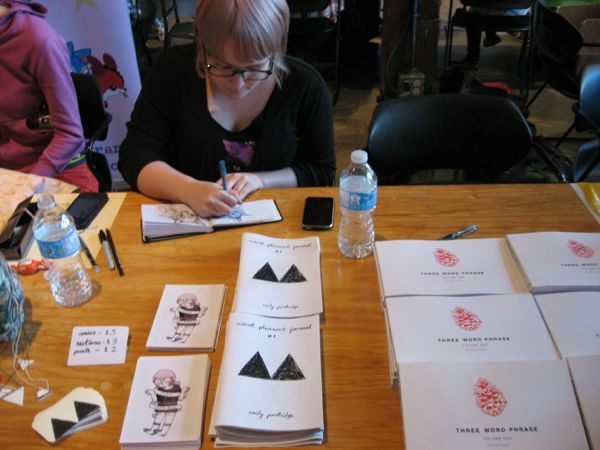 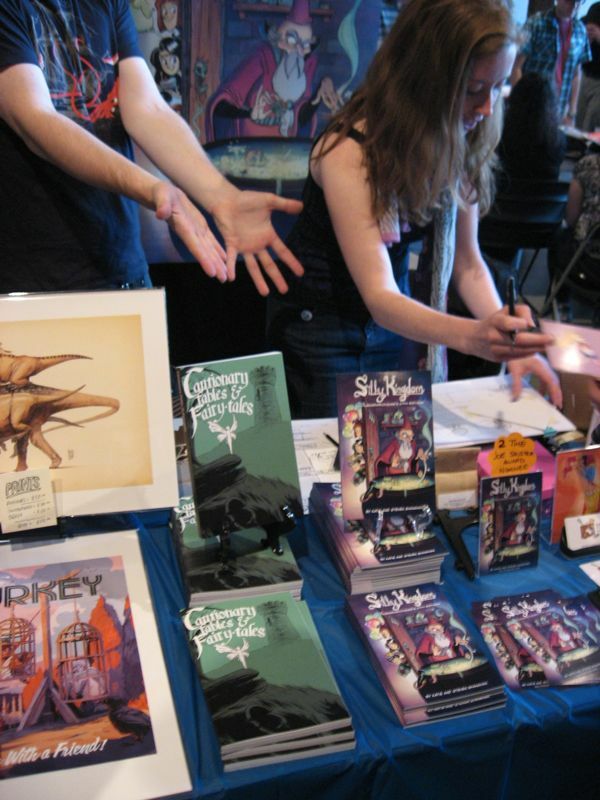 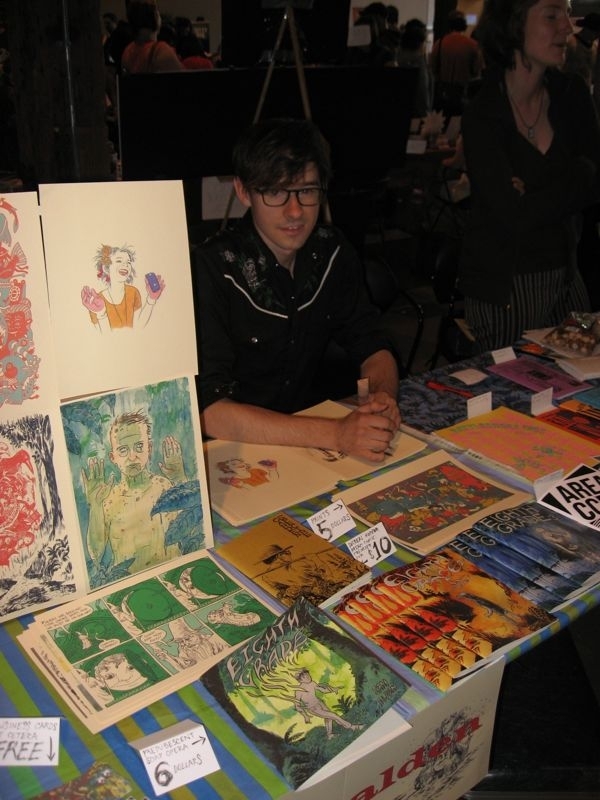 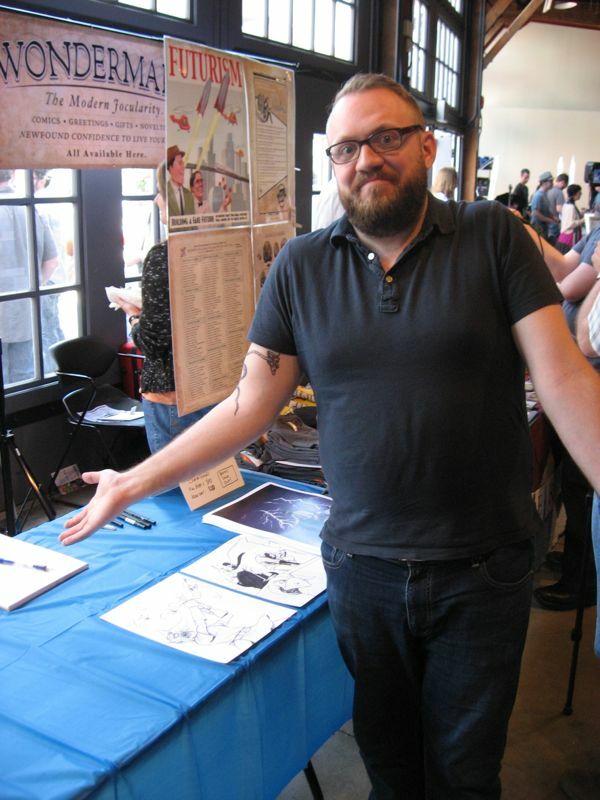 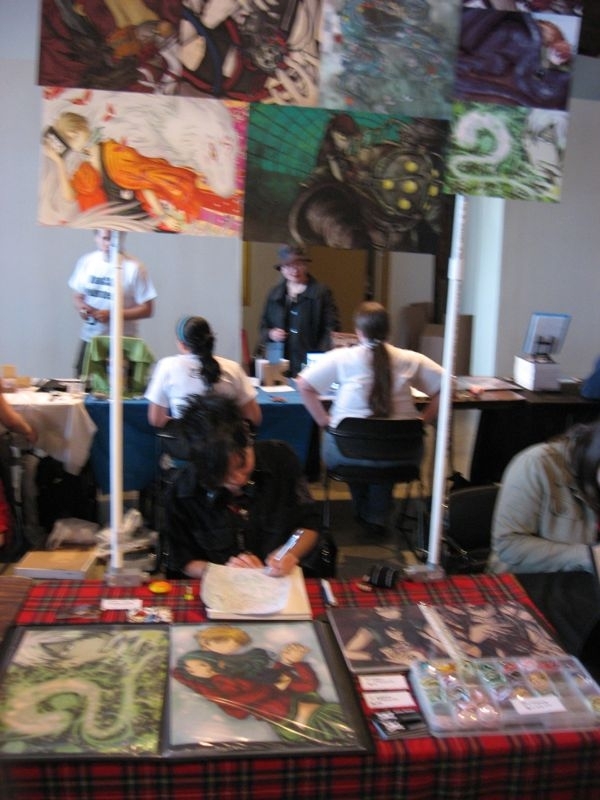 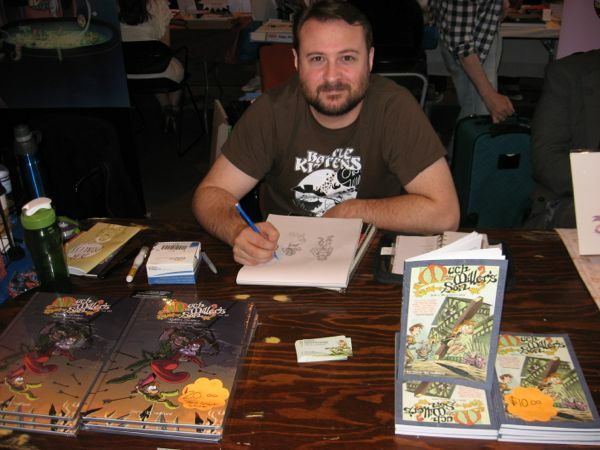 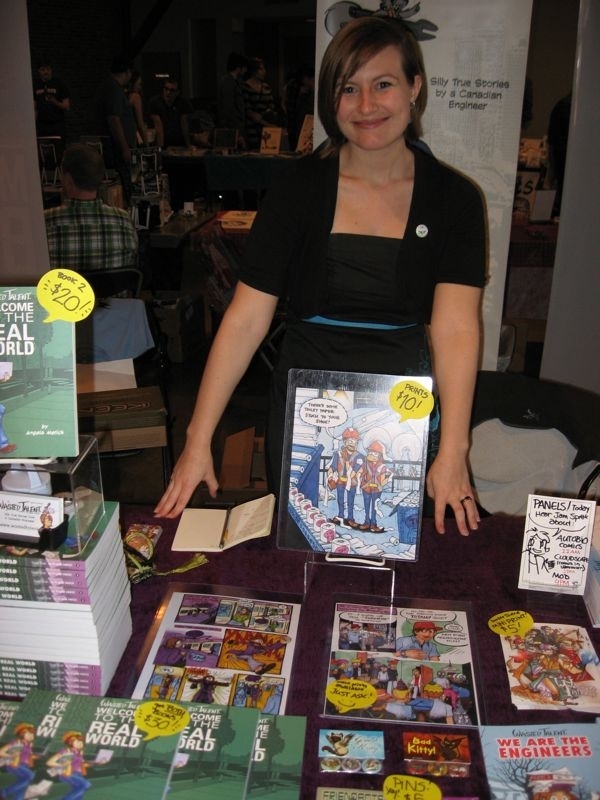 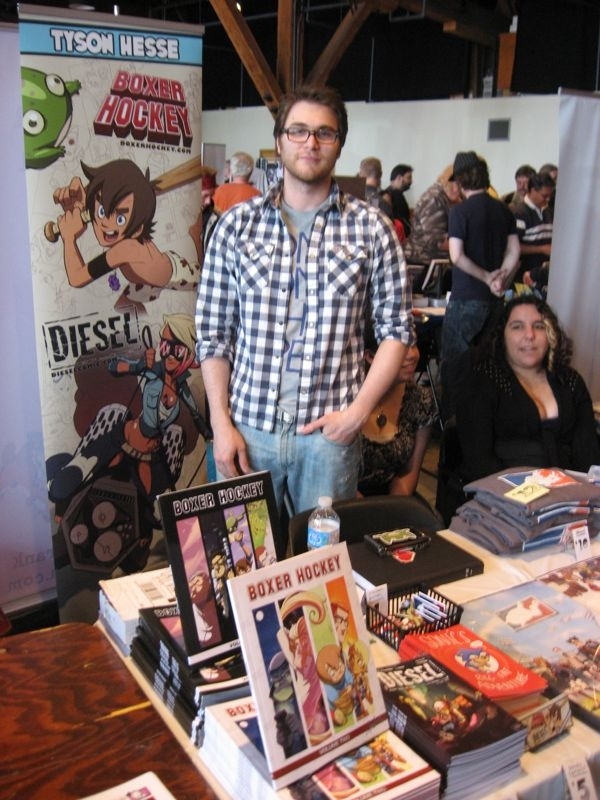 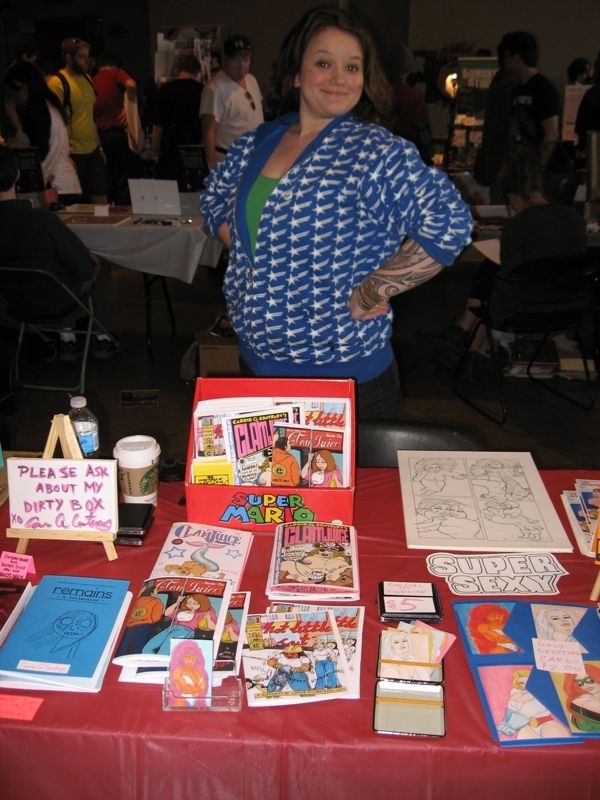 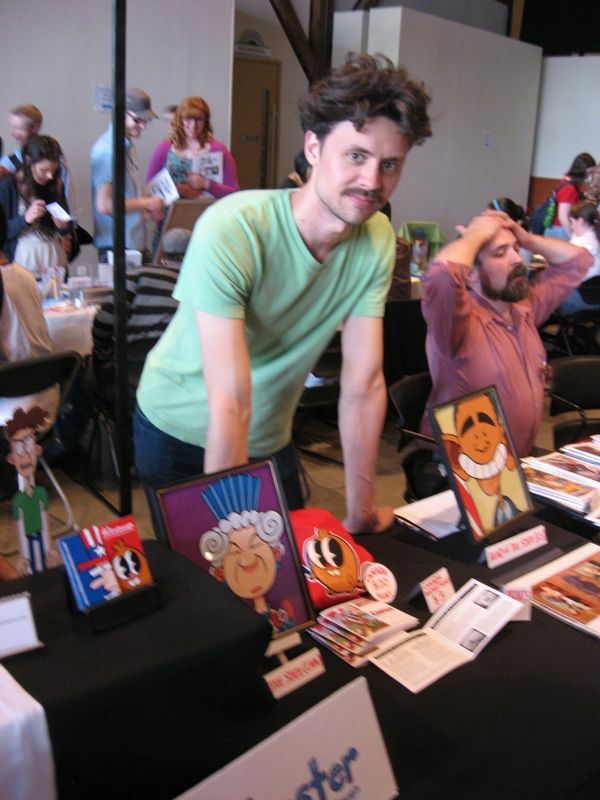 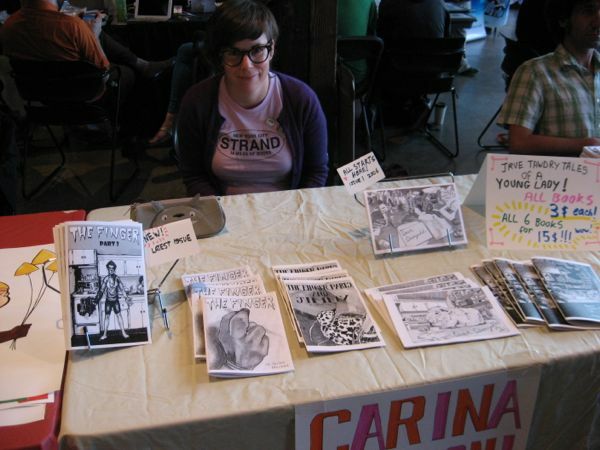 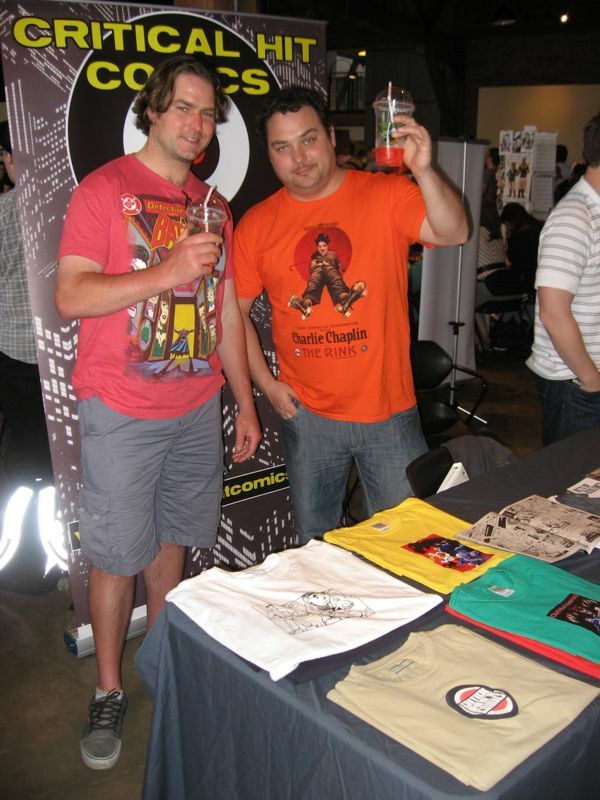 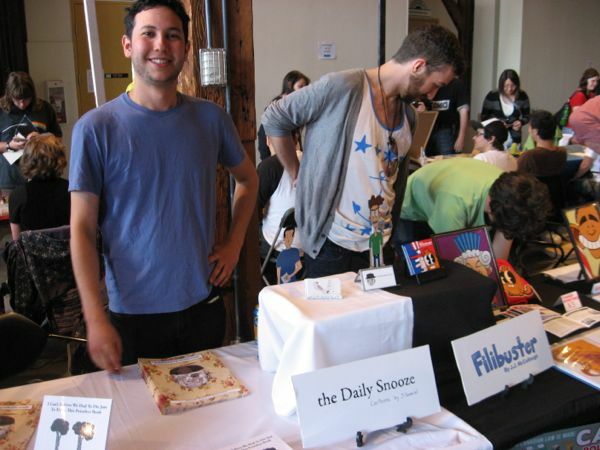 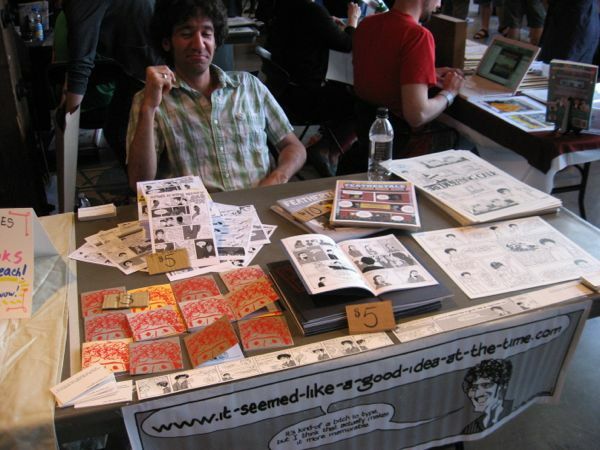 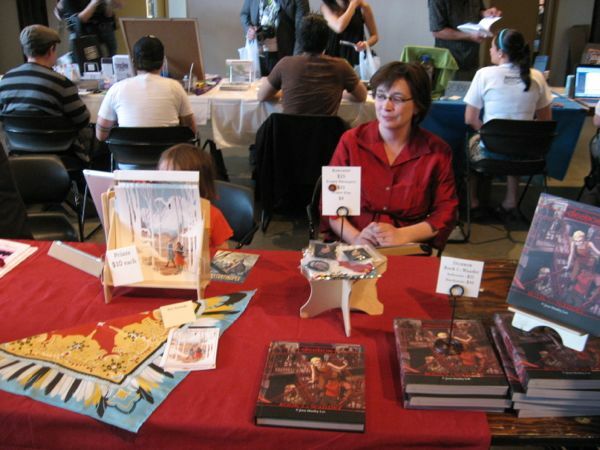 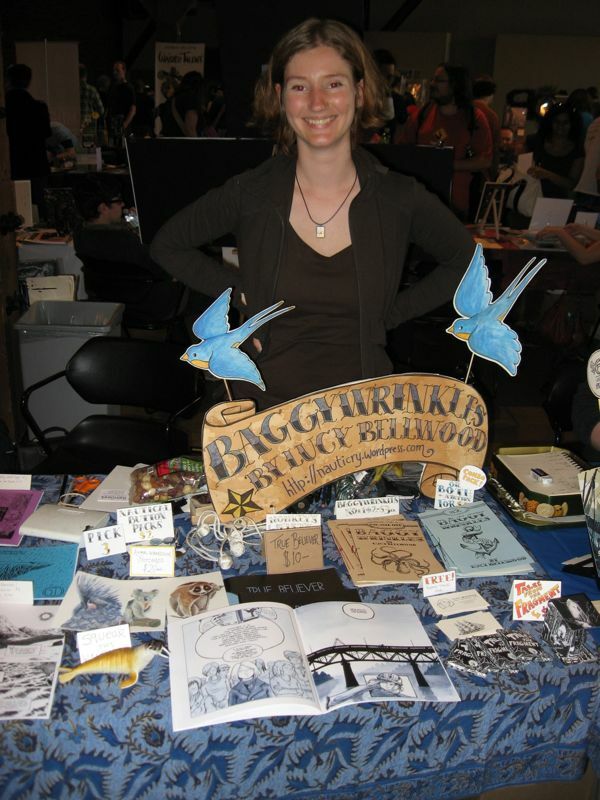 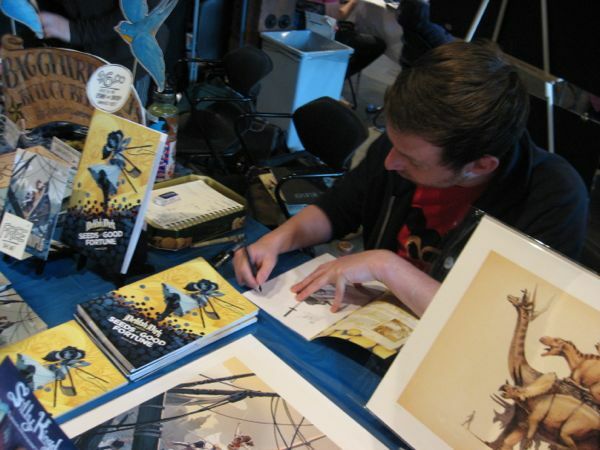 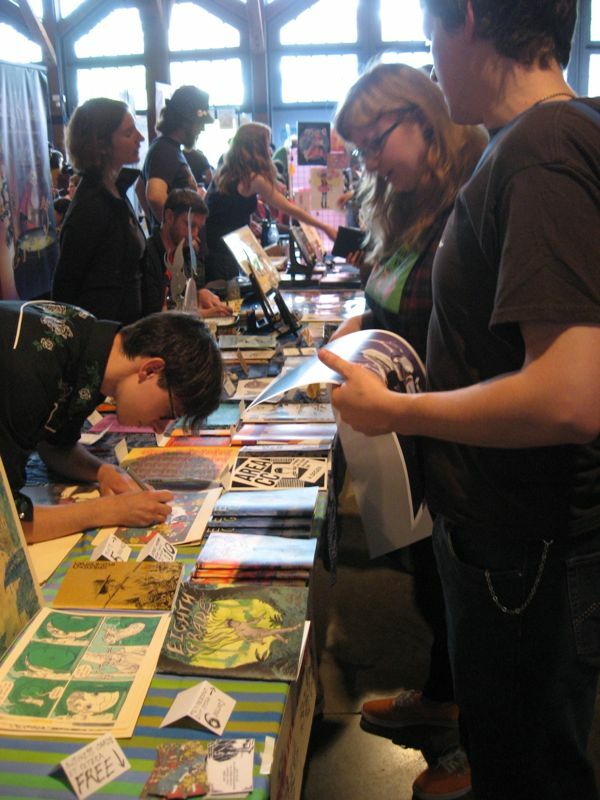 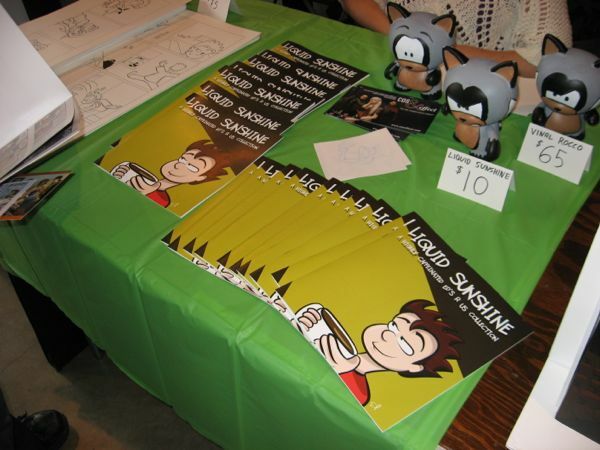 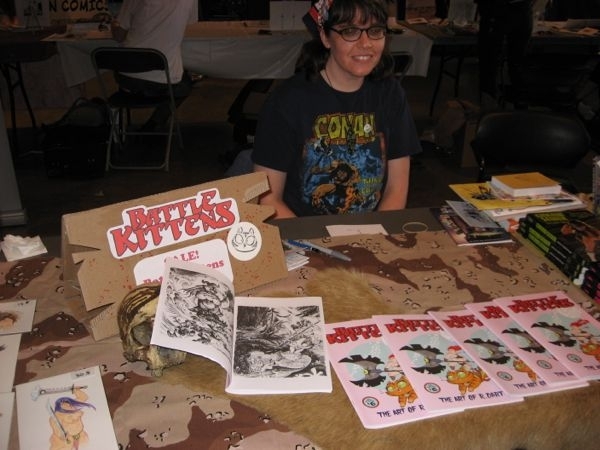 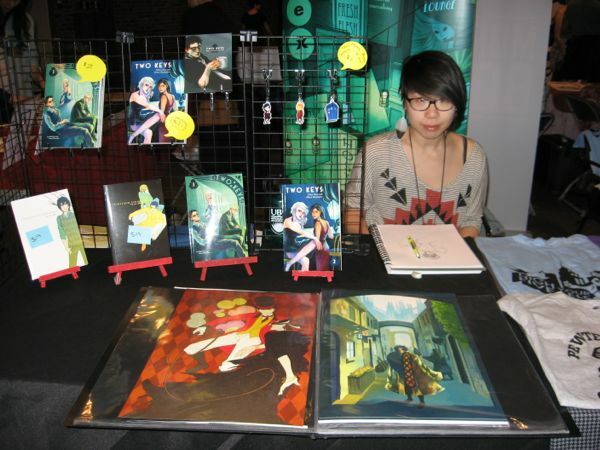 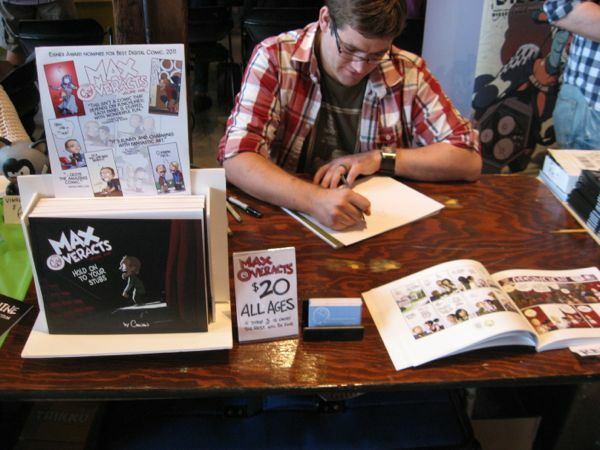 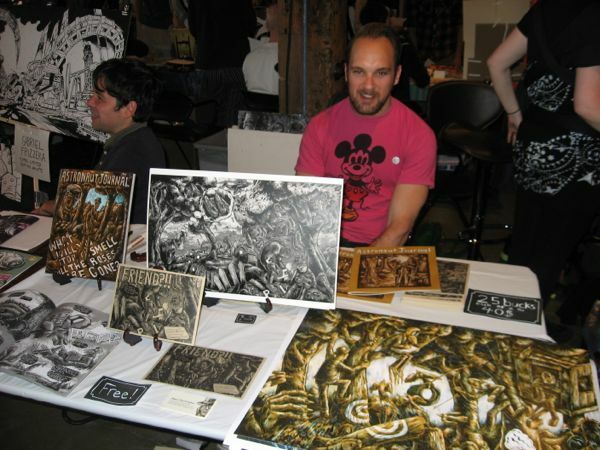 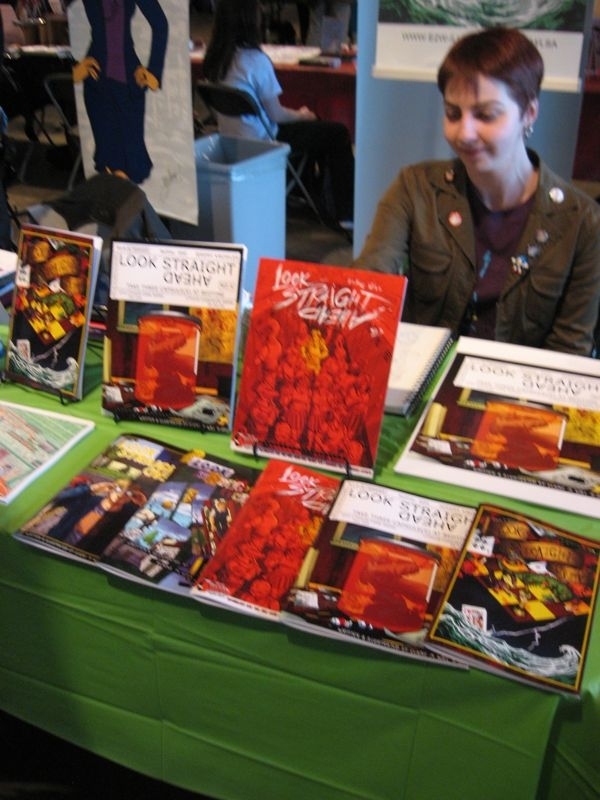 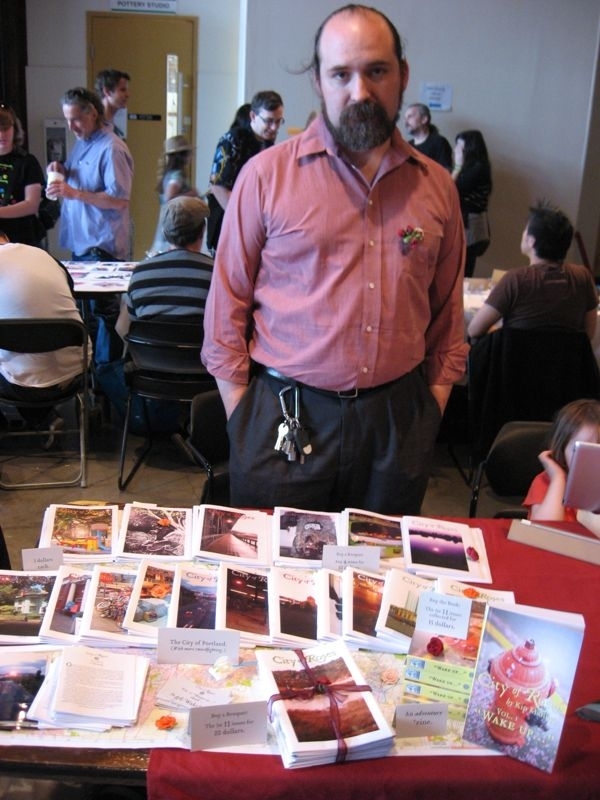 The Vancouver Comic Arts Festival was welcomed with gorgeous weather this Saturday. 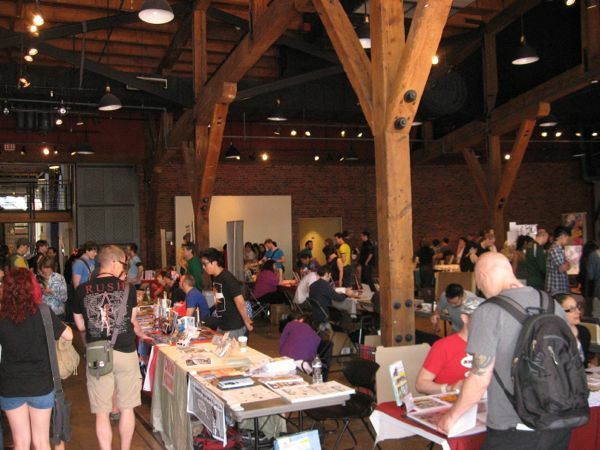 Northwest crowds now have a reputation for filling out events like this, and today was no exception. 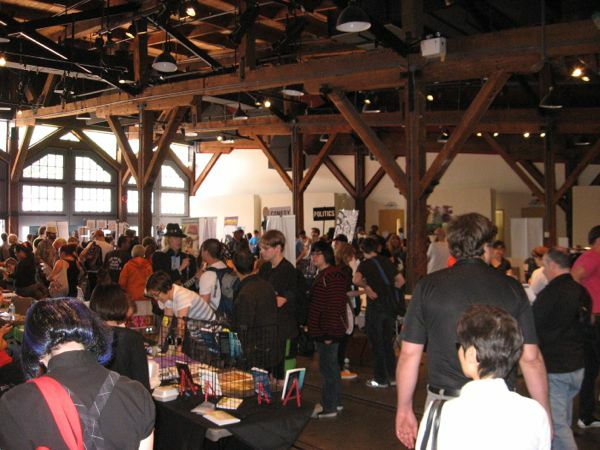 The convention floor was packed with attendees and exhibitors. 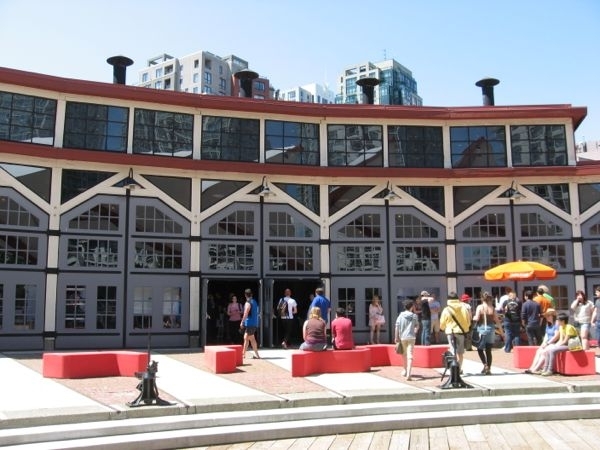 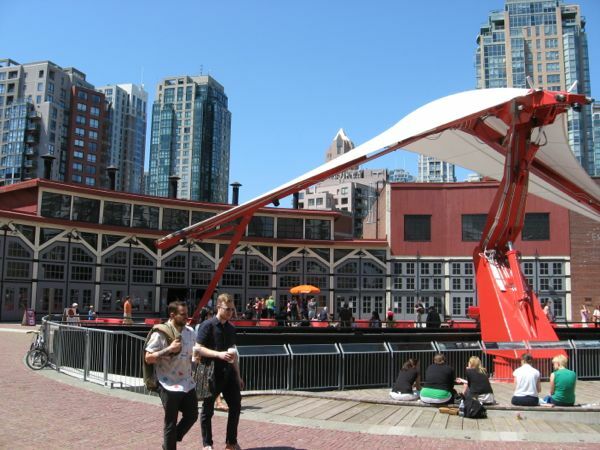 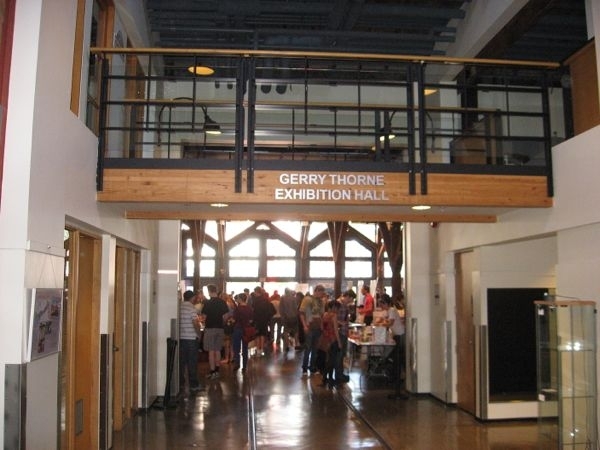 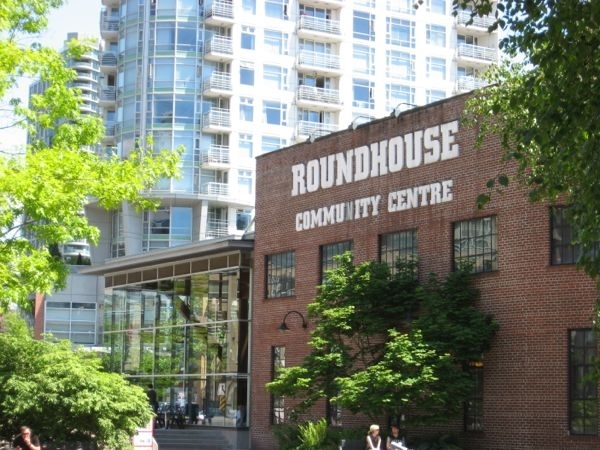 The Yaletown Roundhouse was a great venue with a mixture of modern and historical decor. 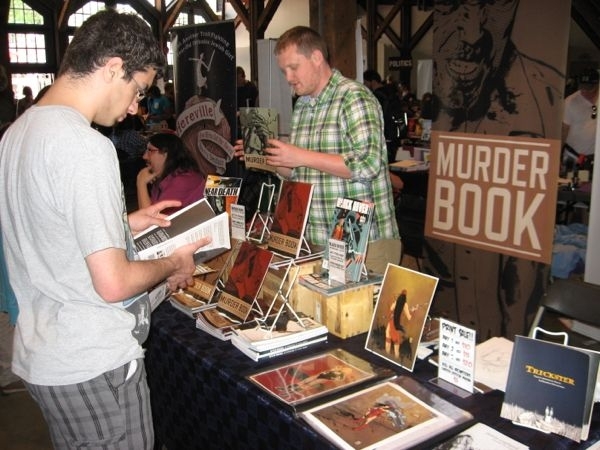 I saw and met many of my favourites here, but I also discovered comics that I had never heard of that are hits by any objective standard. It just goes to show how important these events are. 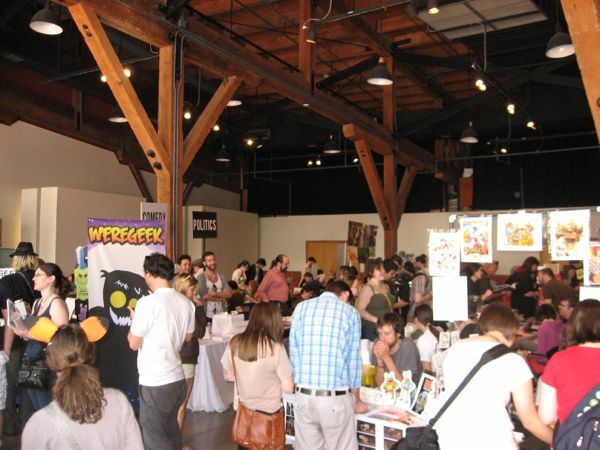 Google’s pretty good, but it can’t introduce you to all these comics in one search query. 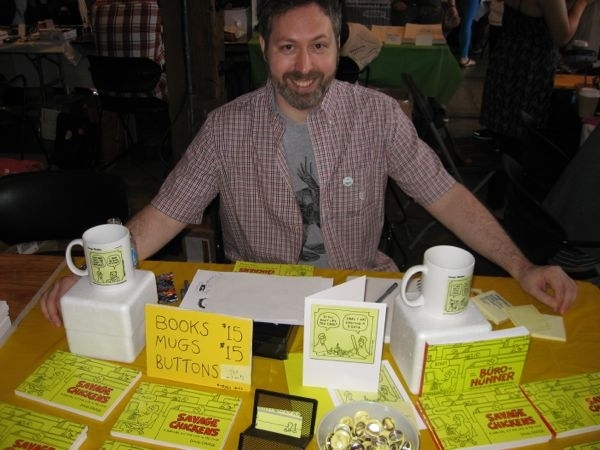 I mean, how much is a Post-it comic like Savage Chickens going to have in common with a medieval comedy epic like Much the Miller’s Son? 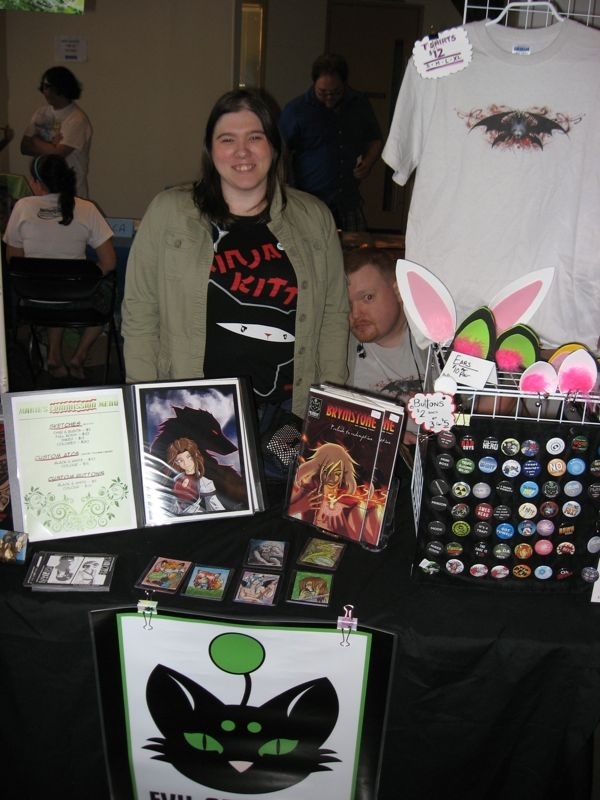 Hit the jump if you want to see more of pictures of the convention and the exhibitors. 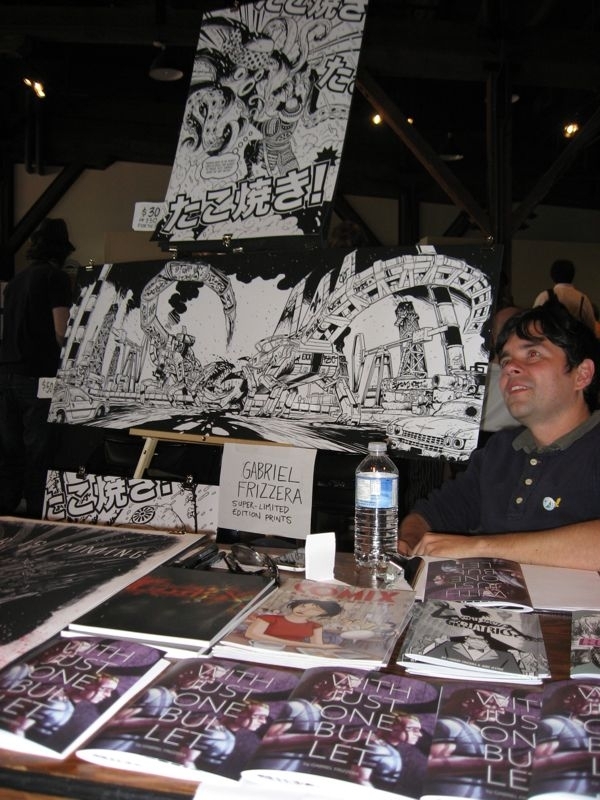 Doug Savage of Savage Chickens will be a guest of honour at San Diego Comicon this year! 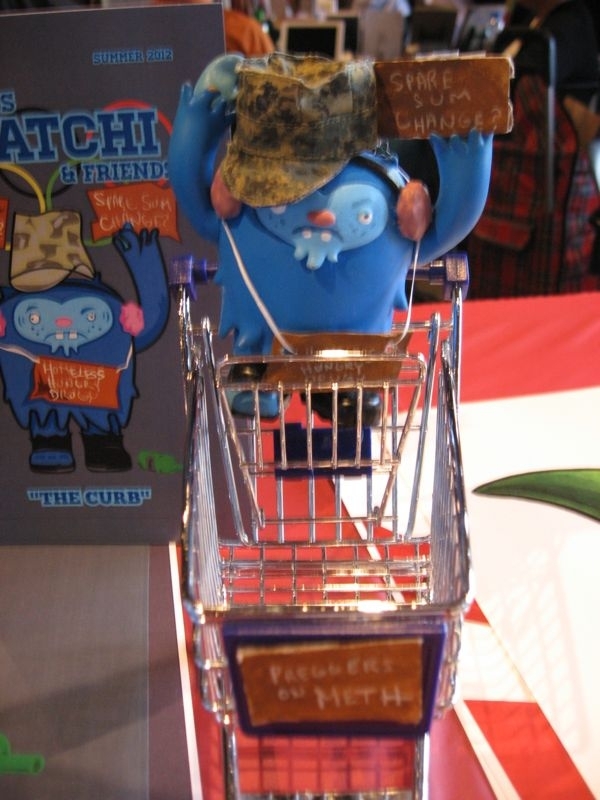 No Homes No Peace for Quatchi! 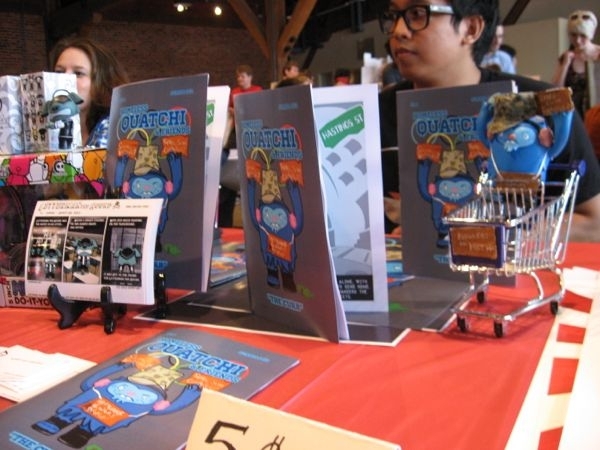 Chris Hutchison of Dr. McNinja had a booth to show me, but he solded it. 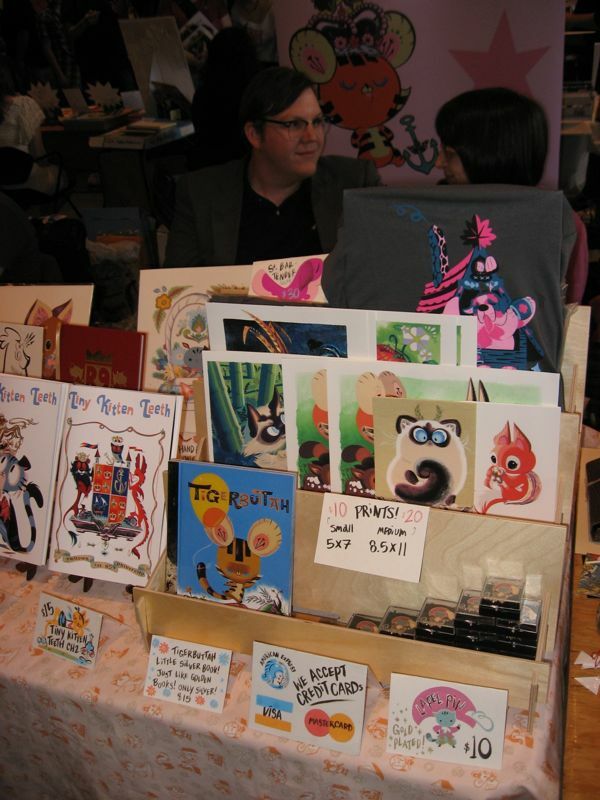 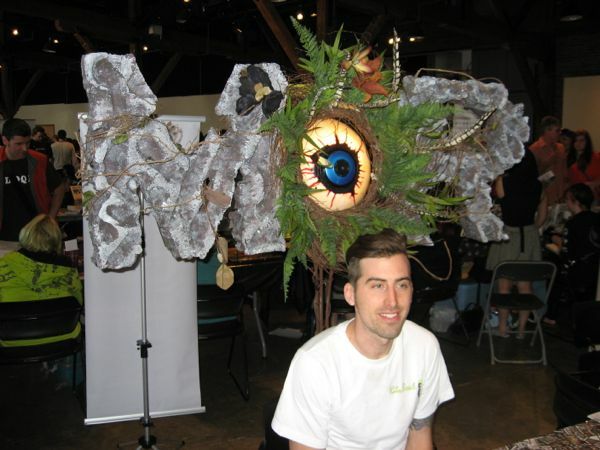 The Mor Comics Booth had a sweet display! 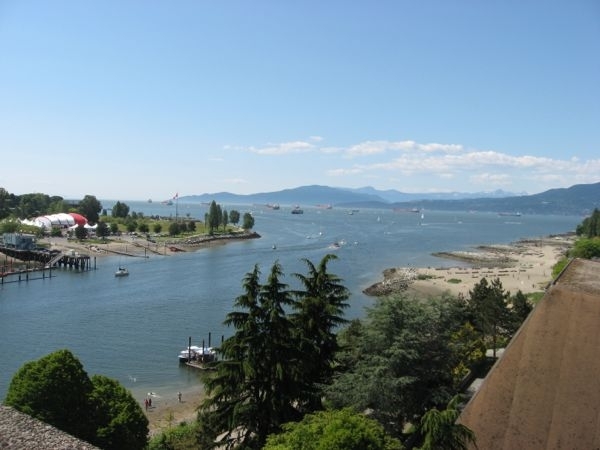 The boats were out in English Bay!